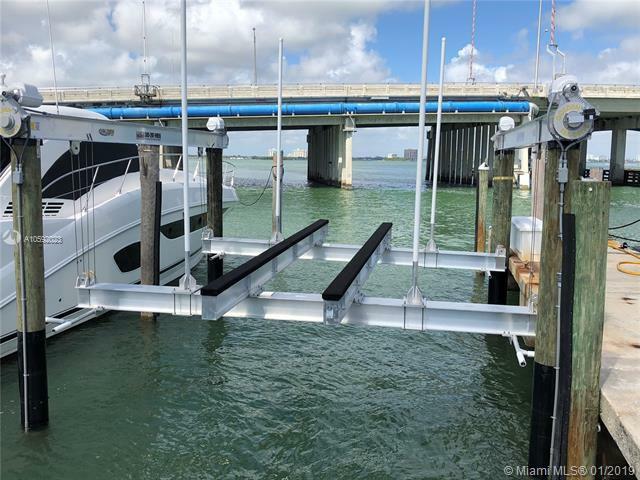 BRAND NEW 2 month old 32,000 LB boat lift for sale with 60' foot slip. Asking $180,000 and price is firm. Listed at a great price. LOCATED IN NORTH BAY VILLAGE, FL on 79 ST. Slip is the second to last slip to bay. Great location. 24/7 ACCESS. Grandview Palace Marina. boat slip A-34. no fixed bridges. No live aboard. no commercial use. security.